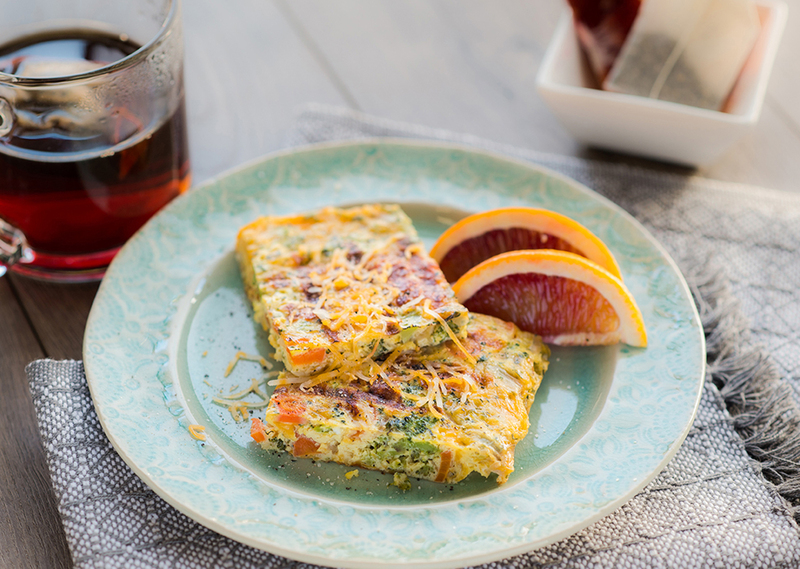 Serve this colorful, healthy quiche as a brunch entrée or as a light dinner with a crisp side salad or fruit. Attach the Baking Dish onto the bottom of the George Foreman® Evolve Grill™ and preheat grill to 350°F. Beat eggs and milk in medium bowl until well blended. Stir in shredded cheese; set aside. Heat vegetable oil; add vegetables, dill and soy sauce. Cover; cook 5 min. or until vegetables are tender crisp, stirring frequently. Pour egg mixture into baking dish with vegetables; stir gently to combine. Close grill and bake 20 min. or until set. Let stand 5 minutes before cutting and serving.